QR codes are two-dimensional barcodes. These codes can be scanned by a device with a camera and the downloaded QR reader. QR codes are found on products, posters, billboards, magazines, etc. I have used QR codes in all subject areas. These codes can be used to guide students to a site, or as a resource for students to self-check work. Below are several ways QR codes can be used in the classroom. QR codes can be placed on books to link to book reviews. QR codes can be used to guide students to informative sites and resources for research purposes. QR codes can be used in Social Studies to link to important people and events in history. 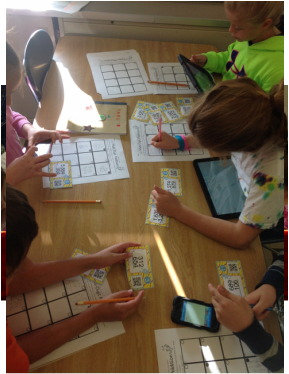 QR codes can be placed on maps in the classroom to link to websites or videos of those places. QR codes can be placed on calendars to show events in history. 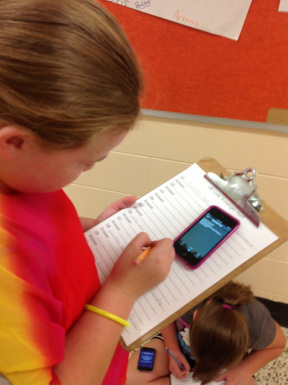 QR codes can be used to give riddles on a topic for students to decipher. 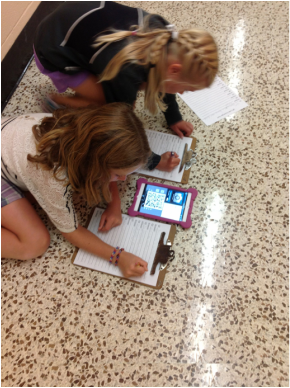 QR codes can be used in a scavenger hunt for students to get clues and directions.